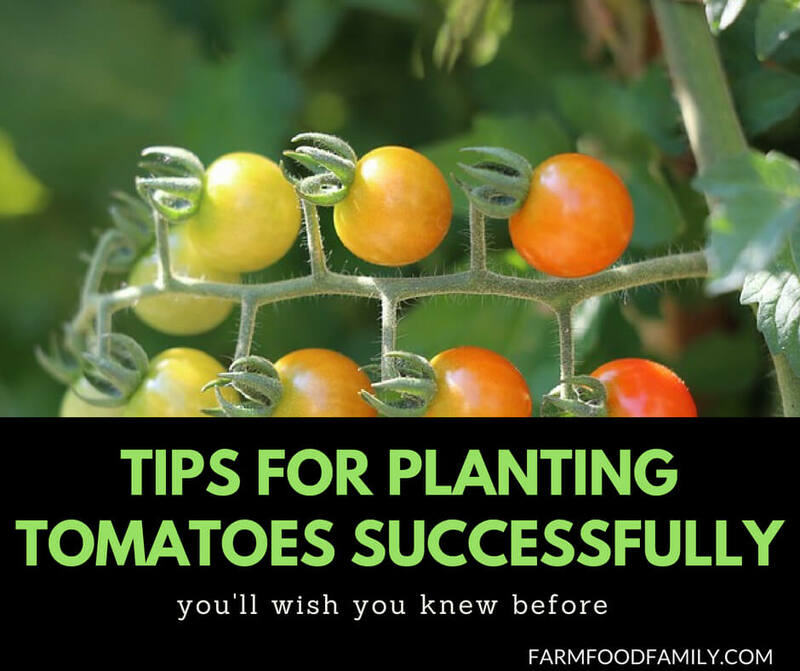 Below you will find everything you need for planting tomatoes, including little conceptual background to group tomatoes by use and tomato plant height; light, moisture, and soil requirements; cultivation tips for starting your tomato plants off right; and our favorites varieties. Though nearly every gardener out there is planting tomatoes, it’s not because they are the easiest plant to grow. (I’d give that to garlic.) It’s because we love eating tomatoes so much! But we eat tomatoes differently, and these differences impact which tomato varieties we plant and how tall the growing tomato plants get. How do you like to eat tomatoes? Cherry tomatoes (includes grape tomatoes, and similar): the easiest to grow, the least prone to blights and blossom end rot. These little BB’s of goodness are amazing straight from the vine and can be frozen in tubs for use in soups and sauces in winter. Frequently prolific producers. Salad tomatoes: often cute, in the tennis ball size range, with lots of seedy pulp and sharp zingy flavors. Sandwich tomatoes: often in the ‘honker’ size range, with more meat and fewer seeds, the better for slicing and stacking. Often not as prolific in production and, because they take longer to ripen, these can be more prone to late blights and blossom end rots. Not all, but in general. Paste tomatoes: a range of sizes and shapes, with still more meat and fewer seeds, and the notable habit of all coming ripe at once (thus the abundance needed to have a whole pot of tomatoes ready to sauce at once. How tall can your garden handle your tomato plants growing? Bush or “determinate” varieties have a genetic cap on their height. They are more likely to have the whole crop ripen around the same time, and they’ll die off after the crop is done. Light: When planting tomatoes, get them into some serious sun. The best sites are south facing with something that casts shade across the plot for 2 to 3 hours in the afternoon. Moisture: It’s not that your growing tomatoes can’t handle a little drought, it’s that when the rains come in a boom bust cycle, the little ripening tomatoes suddenly expand with the new water they are drinking, causing the skins to split. They’re still edible, but more vulnerable to disease. Your best best is to bury tin cans with holes in the bottom around your tomatoes and to water these at least every third morning, if not more often. Soil: If you’re working on crop rotation, planting tomatoes in the spot you had leafy vegetables last year is a great idea. They don’t need all the nitrogen that those plants needed, but the soil still has plently of phorphorus in it, the better to produce tasty fruits. Weird but True: The most amazingly ideal spots induce a little competitive panic in the tomatoes by including other red items (red painted fence, red or pink shade cloth, other red fruits or veggies). Tomato Seeds vs. Tomato Seedlings? To germinate tomato seeds or to start by planting tomato seedlings? It’s an age old question. If it’s still 10 weeks from your last frost date and you want a wider range of the possible, then order up some tomato seeds (see our reviews of favorite seed suppliers) and get going! Two weeks til last frost? Two weeks past? Trot over to the farmer’s markets and get yourself seedlings. What to look for: nobody flowering, or pinch off the flowers. Don’t worry about leggy plants; you want to bury the plants deep anyway. (This is only true of tomato seedlings, not peppers, not eggplants…). A seedling heat mat is helpful for germination, but not critical if you place the seed trays near some warmish source till the sprouts are all in. After that, move the tomato seedlings somewhere cooler until the first true leaves (second pair out) appear. The largest of the seedlings in this image is a tomato (volunteer, it’s a lettuce bed, as you can see by the other seedlings). Note how different the first leaves out and the first True leaves are. Transplant your tomato seedlings everytime they are big enough to start touching their neighbors in the next pot over. Each time you transplant a vine type tomato, pinch off the bottom leaves and plant it up to its neck. The vine will produce new roots out the side and be marvelously healthy and drought resistant in your garden. PS- do not bother keeping volunteer tomato seedlings. Those are the offspring of the tomatoes that ripened fast and then fell off the vine and rotted. Last thing you need is a plant whose fruit ripens (and rots!) too quick to harvest. And don’t miss growing tomatillos and ground cherries! Never heard of them? Start with Aunt Molly’s. *Potato Leaf Tomatoes: While tomatoes and potatoes are in the same family, they don’t share all their diseases (some, but not all). A lot of tomato grower’s who have trouble with tomato blights find that the potato leaf varieties are more resistant to the classic tomato ailments. If you’ve had a lot of trouble with mildews and blights, try (1) growing your tomatoes in pots, (2) growing potato leaf varieties, and / or (3) growing cherry tomatoes instead.